Another thing, I rarely (if not never) buy is dips. This is in part because they are expensive and because I am often disturbed by the ingredients in them (vegetable oils, additives, preservatives). 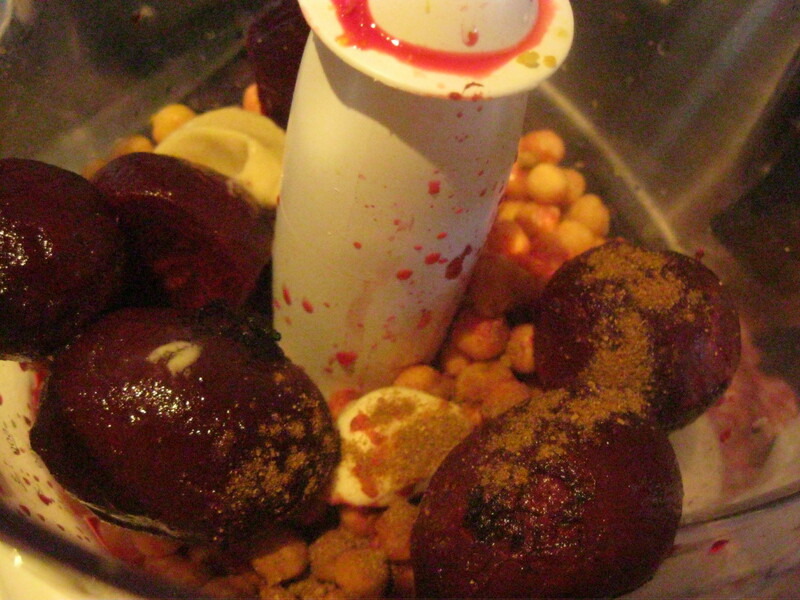 Its also because with my handy stick blender, I find them so easy to make! I often serve Labneh at a party with fresh chopped herbs, sumac and olive oil sprinkled over it which works out to $1 for two dip bowls. The other favorite is my Hummus, which I have already shared my recipe on a previous post. 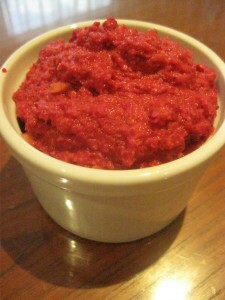 Blend it all together with a stick blender or food processor and enjoy! 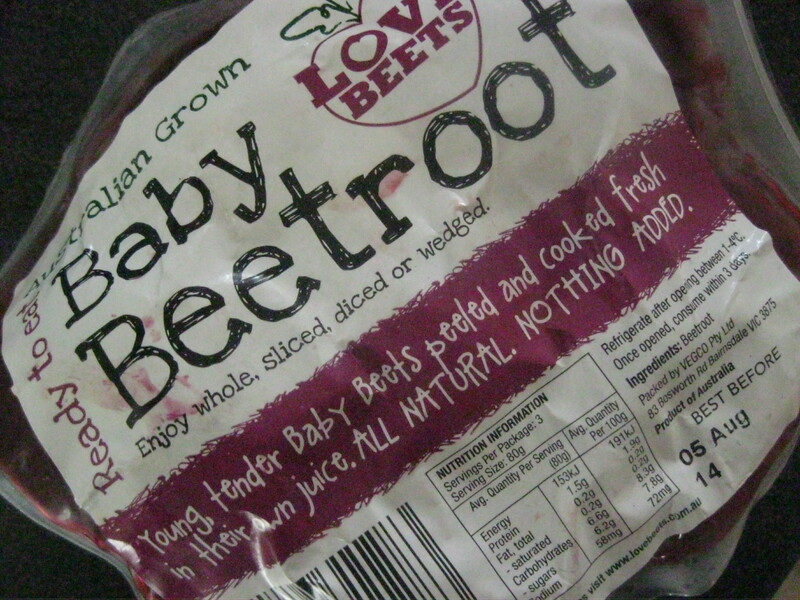 *Baby Beets are 100% beetroot vacuum sealed. You can get them from Coles, Aldi and Thomas Dux). 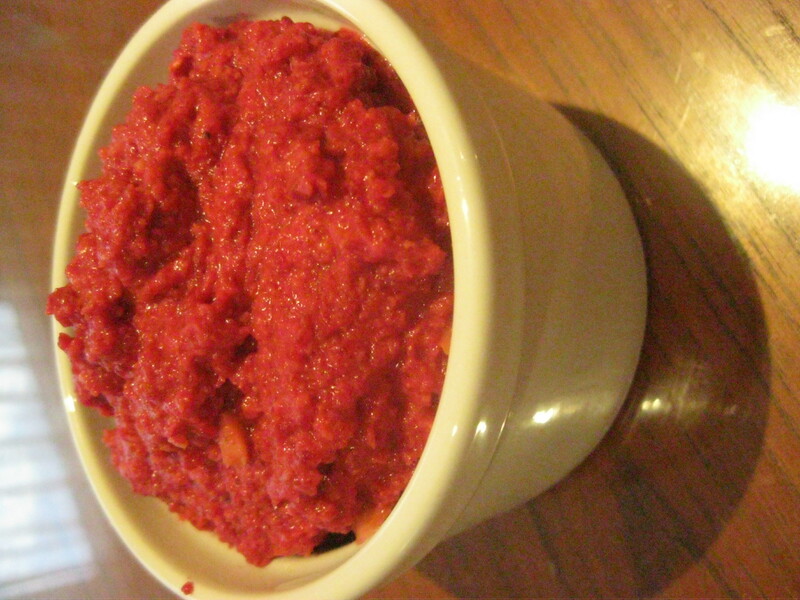 Watch out for canned beetroot as they often contain high fructose corn syrup. Alternatively you could use your own roasted beetroot.